With Melbourne’s economy and population growing at an ever-increasing rate, many Sydneysiders are looking to Victoria’s capital for their next property investment. With promising market growth and more affordable apartments that offer strong rental yields, Melbourne presents a solid opportunity to secure a beautiful home and a lucrative investment. Of course, we’re not the only ones to have taken notice – Melbourne has recently seen a hike in inter-state immigration figures. More and more Australians are recognising the city as an ideal location to house their property assets and create a better lifestyle for themselves at a more affordable cost. So whether you’re looking to strategically expand your portfolio or you’re seeking an immediately more lavish lifestyle, setting your sights on Melbourne is a good start. Browse our selection of current apartment developments to discover some of the best investment opportunities in Melbourne right now. Botanic Melbourne’s prime position in Southbank near the prestigious Royal Botanic Gardens does well to elevate the project’s value. The historic and cultural significance of the immediate surrounds, which feature the Shrine of Remembrance and Arts Precinct, ensures the magnificent views from these luxurious apartments are protected and will remain uninterrupted. 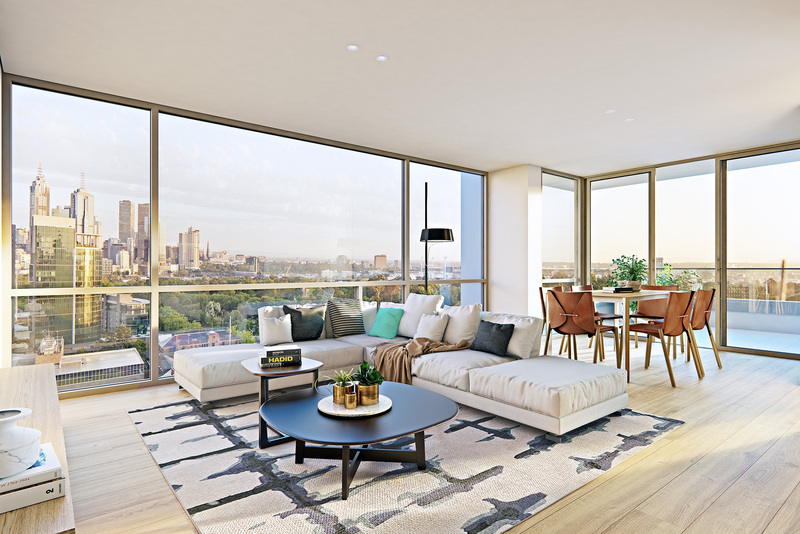 Separated from the vibrant life of the CBD by the Yarra River, the location intertwines connectivity and respite, the benchmark for a desirable lifestyle. The interiors are the result of expert curation of finishes and textures and amenities include a business hub, swimming pool and gym. The rare opportunity to live at an exceptional parkside address with premium amenities presents itself in Sapphire By The Gardens. Living standards will benefit immensely from an infusion of unrestrained luxury from the project’s 5-star twin, the new Shangri-La Melbourne. The dual tower, located in a northern pocket of the CBD, surrounds itself with high-end shops and a lavish selection of the city’s fine-dining venues – the epitome of sophisticated Melbourne. Further bolstering the development’s value is the area’s rich cultural character, created by the presence of The Royal Exhibition Building – a UNESCO World Heritage Site. With two bedroom apartments starting from $975,000, the opportunity has not gone unnoticed – 80% of apartments have already been sold. Explore Sapphire By The Gardens today. The Foundry, part of the wider West End project, takes up position just a few blocks from the CBD and the increasingly popular Docklands precinct. As the city’s popularity continues to grow and its residents look to the urban edges for accommodation, The Foundry’s location is fast becoming a prime spot for wealthy commuters who seek rest from the hustle and bustle. Tapping into the post-industrial edge of West Melbourne, the apartments are created with converted New York warehouse lofts in mind. Residents will also benefit from a wide range of hotel and concierge services courtesy of the on-site five-star Adina Grand Hotel. Other lifestyle-enhancing amenities include a selection of pools, a world-class wellness centre and a private cinema. One bedroom apartments in this visionary project start from just $465,000. 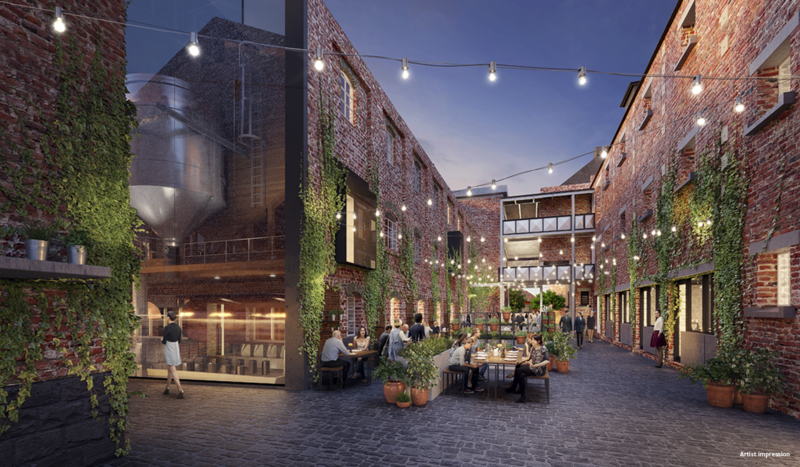 The Malt District’s plan to transform the abandoned industrial Nylex Clock site into Melbourne’s most vibrant cultural address has attracted interest from all corners of the city. Located in a happening pocket of Richmond, home to Melbourne’s upmarket brunch venues and creative agencies, The Malt District residences will be in high demand among the city’s artistically-inclined. And surrounded by the vibrant retail, dining and nightlife offering of Chapel St on one side and the tree-lined Yarra River and nearby parks on the other, the development’s position is unparalleled. For days when a 10 minute car ride to the city is just too much, The Malt District has an onsite microbrewery and gastropub, where drinks and dinner can be enjoyed among a decor of bare brick, lush ivy and fairy lights. One bedroom apartments start from $496,000. See more about The Malt District here. Brunswick’s cool continues to proliferate with urban renewal project Jewell Station currently setting the bar high for socially-led residential design. The buzz of Brunswick’s local cafes, eateries, coffee shops and stores is renowned – a further example of effective urban rejuvenation. Forever attracting an influx of hip and happening Melbournites, Brunswick is seeing a steady increase in property value. Buyers keen to invest in a piece of vibrant Brunswick will do well to secure a Jewell Station apartment while the chance is still an affordable one. Enquire about Jewell Station today. Since its inception, Melbourne’s NewQuay precinct has been the destination for buyers seeking landmark architecture on the edge of the CBD. Elm & Stone is set in a tranquil waterside location just moments from the city – a rare lifestyle balance that is popular among young professional couples. Architectural diligence means apartments feature either North-facing windows for maximum natural light or South-facing windows for breathtaking sunsets across Melbourne’s harbour. The development boasts serene communal spaces with landscaped gardens as well as a pool, BBQ area and fully-equipped gym. One bedroom lofts start from just $535,000. Uncover Elm & Stone today. Putting aside civic rivalry and pride, Sydneysiders will find in Melbourne a number of lucrative investment opportunities that should not be ignored. With beautiful new developments offering enhanced living standards and projecting profitable growth, the city is ripe for the taking. It only makes sense that the world's most liveable city (for a seventh time!) has a few nice living options – so why not be part of it? To find your ideal investment or dream home, browse all Melbourne off the plan apartments here. *disclaimer: our property snapshots are intended as a guide only. Please ensure you speak to your investment or property advisor before making any purchase.